Hugh Laurie 2009. . Wallpaper and background images in the Hugh Laurie club tagged: hugh laurie actor hugh appearence public laurie 2009. 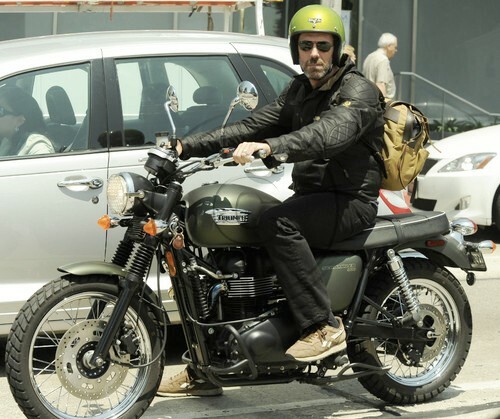 This Hugh Laurie photo contains motorcycle cop, motorcycle policeman, and speed cop. There might also be motorcyclist, motorcycle, bike, motor scooter, and scooter.